When it comes time to make my pick for this newsletter, my first audience, the one group I know will listen, is my fellow writers. So, when we covered the Nas and Damian Marley album a few months ago, I suddenly realized that I was taking for granted that everybody liked reggae, even if they weren’t as deep into it as I was, and had listened well beyond Bob Marley’s Legend collection. Now, I’m not so sure. So maybe it falls on me, as the grand old man of this collective, to help rectify that situation. After all, I grew up in a different era, when reggae was just going global, moving hand in hand with the development of British punk, which drew both on the social protest side of Jamaican music as well as its musical innovations. I was also on the front lines of the second wave of ska (The Specials, Madness, The Selecter, et cetera), which was a rich source of breadcrumbs about Jamaican popular music. Then there’s hip hop, which, while I rejected it at first, quickly proved to be on a continuum from records like Big Youth’s Screaming Target, where he speaks and semi-sings over a series of popular early reggae singles. I had mail-ordered the album directly from the island after hearing a track on WLIB, the Caribbean station in NYC and home to Gil Bailey, the great DJ immortalized on the Beastie Boys’ Paul’s Boutique. I tried to never miss a show and also owe Bailey for my discovery of the great producer Lee Perry. I can still get a thrill thinking about the spectral sounds of “When Jah Come” emerging from my AM radio while the rest of my family slept. As I’ve gotten older, I’ve only fallen further into the rabbit hole of Jamaican music, following the thread from Mento, Ska, Rocksteady, Lover’s Rock, and Roots, all the way through Digital Dancehall and beyond. When I’ve examined the origins of my love for this music — trust me, it is so not about the ganja — I can’t deny the potential influence of Mary Henry, the Jamaican woman who partially raised me from the age of zero to nine, formative years. She never played reggae or any music that I heard, but she did speak and sing to me in a wonderfully melodious voice. There was also my high school science teacher who schooled me in reggae as well as frog dissection, lending me some crucial singles along the way. In 11th grade, I continued my education with an internship at the Research Institute for the Study of Man, where, in addition to keeping things tight with the Dewey Decimal System, I read the Daily Gleaner every week and wrote a paper on Rastafarianism. That said, I certainly have had friends who are as elbow deep in Jamdown sounds as I am, including Mike D., with whom I used to converse in patois on the way to Young Aborigines rehearsals, so who the hell knows? (Cultural appropriation alert! It was 1981 — give me a break?) It was another of these friends who made a tape of a collection called Well Charged, released by Pressure Sounds in 1996 and compiling songs from the Channel One label. The whole album is a superior selection of early ’70s roots reggae, but about halfway through was a song that made me sit up straight and scan the J-card for track info. After an authoritative intro, two plaintive voices rang out in close harmony: “Give me! Give me, give me, give me, give me what is mine, y’all.” Whoa, that’s direct, I thought. Then the age-old story is told, in those same tight harmonies: “I work for you in that burning sun / Which was a very hard times for me / And now the time comes to pay me / You say, you say, the money done, done! / You’re a devil of man and a wicked kind of man, too, y’all… / Good god, man like you should be burned in fire / And every day you should feel it a little hotter / Not to say I want to see you die / But when man do things like what you’ve done / They never, never, never last too long, at all.” The piano, bass, drums and skanking guitar that anchored the song were as concise and direct as the vivid lyrics, no metaphors needed. I had to know — and more importantly hear — more. According to the card my friend had carefully designed, this was a song called “Give Me” by an artist listed as Earth & Stone. That was all I knew, thus beginning a quest to find more music by these guys that had many false starts and red herrings (such as a temp in my office who said her brother knew one of the members of Earth & Stone and could get me the album — to no avail), with a pit stop on another fantastic song called “Jah Will Cut You Down” featured on a different compilation. Finally, the saga ended where it should have began: on the Pressure Sounds website, where I found a reissue of Earth & Stone’s one album, Kool Roots, which I ordered immediately, waiting with bated breath for the CD to travel across the Atlantic and into my hot little hands. When it finally did, I scanned through the liner notes, finding Earth & Stone’s names, Albert Bailey and Clifton Howell, and some basic information about the album, such as that it was recorded in 1978 and was “unusual for that time in that the vocal and dub sets were released together… within a gatefold sleeve, an expense not usually afforded for reggae release…” That says to me that the Hoo Kim brothers, who ran Channel One, knew they had something special on their hands with Kool Roots. Even so, the booklet concluded by saying, “Little is known about Earth & Stone, even today Jo Jo Hoo Kim can recall few details about Albert and Clifton and their sessions at Channel One.” I quickly came to accept that I wouldn’t learn much about who Earth & Stone were or how they developed their unique interplay of harmony and lead vocals or their skills in writing indelible melodies over which to convey their often bitter and fiery lyrics. They seemed to have appeared fully formed at the door of the studio in West Kingston, only to disappear back into the mists of the island. And what of Kool Roots? How did it live up to the standards set by “Give Me?” Very well — in fact, it’s one of the great reggae albums of the ’70s, more than holding its own with such gems as Police & Thieves by Junior Murvin or Heart Of The Congos by The Congos. The first song, “False Ruler,” finds them in high dudgeon, proclaiming “False rulers of the world, dem have to get a beating,” over a driving rhythm track fueled by punchy horns and squealing synthesizer. Sly & Robbie, one of the best rhythm sections of all time (also known for their work with Grace Jones and Bob Dylan, among others), play on some of the songs here, but all the bass and drum work throughout is sheer perfection. “Holy Land Of Home” is both haunting and hopeful, as they sing about returning to Africa, while “Devil Must Of Made You” is another one of their vicious takedowns, with a viscous rhythm that seems to pull backwards on the beat. “Free Black Man” has a bright melody with a touch of gospel uplift, and “Jailhouse Set Me Free” is an alternate of “Jah Will Cut You Down.” There are two love songs on Kool Roots, with the first being “That’s The Way You Feel,” and its soulful intro and Motown-inflected melody finds them completely capable of going down that road, as does “Once Bitten Twice Shy” (not the Ian Hunter song), ending the album on a lighter note. It took a few listens for my excitement and wonder to die down enough to realize that the dub versions are only adequate, with very little of the radical manipulations of time and space that someone like Lee Perry would have brought to the table. Still, if you want to get a further appreciation for the players on the album, or tease out how the gleaming brilliance of the album was assembled from their individual efforts, definitely give the dub versions a listen. 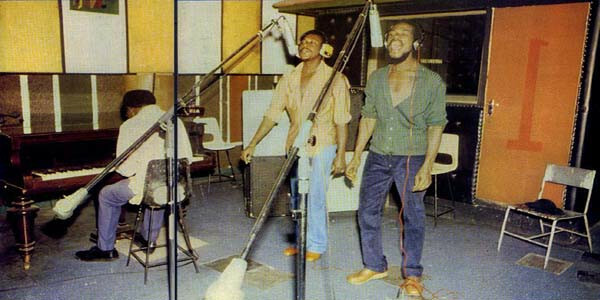 The legendary Channel One recording studio in Kingston, Jamaica where the bulk Kool Roots was recorded in the ’70s. There’s so much to appreciate here, but I’ll highlight three areas that really struck a chord with me. First, not that it’s individually attributable to Kool Roots, but I love the way the drums are mic’d throughout. It’s a hallmark of most roots reggae to record the drums exceedingly loud, and bass heavy. Listen again to “Future” — even the rimshots bang! The low end throughout this record would make A Tribe Called Quest jealous. I was also pleased to hear the group hanging back and letting a few tracks rock out as instrumentals. There’s the aforementioned “Future,” as well as “Knowledge,” which substitutes some extra smooth horn passages for vocals. For my hip hop producers out there, this is definitely the most sample-able track on the album. Funky phrases galore! Finally, there is a three song stretch consisting of “Dub Ruler,” “Holy Land” and “Devil Wise” that I feel is clearly the heart and should of the album. 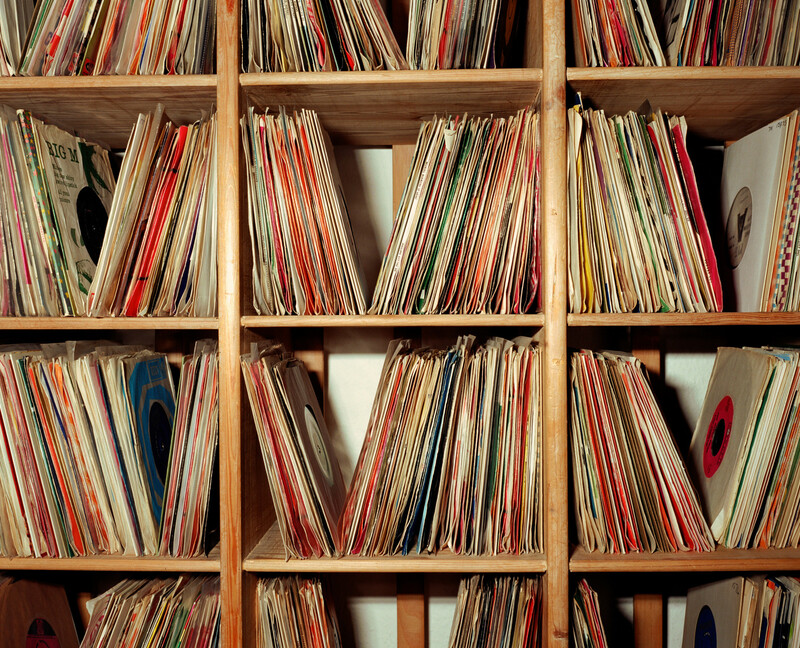 These three records flow so well together that it almost seems like one continuous groove. This is one of those rare OYR records that will stay in my rotation long after this issue. Great pick. I’ll admit that I felt a little intimidated when I first saw the number of tracks on Kool Roots. 20 songs is a lot to take in, but fortunately any anxiety I had quickly vanished the moment “False Ruler” began. Here’s something everyone already knows about reggae: it’s relaxing as hell. There’s something about the combination of the rolling drums and the laid-back vocals that make it easy to melt away into the background. Within no time, I had completely forgotten about how many songs there were, though upon hearing the words “three wise men,” I had to check to make sure I wasn’t accidentally listening to the album on shuffle because I figured there was no way that I was already almost halfway through. But the best surprise that this album had to offer me was the realization that the album’s entire second half was dub remixes of the album’s first half. Dub remixes aren’t a completely alien concept to me (this probably won’t come as much of a surprise, but I’d given a fair number of listens to Sandinista! when I was younger and was intrigued by the 1-2 punch of “One More Time” and “One More Dub“), but I was still caught off guard when “Dub Ruler” began. If I had paid closer attention to the song titles, I probably could have put the pieces together much sooner, but as the versions continued, I decided that not having done any prior research on Kool Roots might have been the best decision I’d made all week. And as it turns out, there isn’t much to research on Earth & Stone anyway, because they more or less vanished from the spotlight after issuing this compilation. Learning that not only gave me an explanation for the number of songs, but it also provided a bit of relief: if even one song hadn’t been given the dub treatment, the entire collection would feel incomplete. And an incomplete “complete recordings” collection is a far worse crime than an album that runs on for too many songs. What a difference it makes, knowing an album was designed to hold together as a group of songs, versus finding out that a series of singles was assembled and released later. I did a little reading about Kool Roots while I was listening for the second or third time and learned that it compiles singles that Earth & Stone recorded at the legendary Channel One Studios starting in 1973. I remember thinking about that format difference a bunch when the Numero Group put out The Complete Twinight Singles, a collection of Syl Johnson’s work with Chicago soul label Twinight Records. That album was my introduction to Syl’s singing, just as Kool Roots is my first exposure to Earth & Stone, and both records read differently when they’re viewed as retrospective documents as opposed to cohesive creative statements. In some ways, knowing you’re experiencing distinct moments in recording history allows you to truly settle in — to let each track sink in individually. And Earth & Stone’s songs sink in deeper than most. Maybe it’s the steady rhythms, or the sweetly sung, lock-step harmonies. Maybe it’s the fact that Kool Roots gives you two takes on each song, with a full set of dub mixes comprising the second half. Whatever it was, I found myself internalizing songs like “Devil Must Of Made You” and “Once Bitten Twice Shy” to the point that they felt entirely familiar in almost no time at all. At this point, not knowing those songs seems unfathomable, even though that was exactly the case less than a week ago. I’ll always love albums, but weeks like this make me nostalgic for a single-driven era I never had the chance to experience. Famed producer Jo Jo Hoo Kim produced much of Earth & Stone’s music as part of Channel One’s revolving door set-up in the ’70s. Reality really hits an unfortunately disappointing place when reading about Earth & Stone because Albert Bailey and Clifton Howell were definitely not short on ideas, as is shown by the sheer volume of music on 1978’s Kool Roots. 20 tracks don’t just write and record themselves. There’s definitely enough classic instrumentation and song form pertinent to reggae songwriting that the average listener is bound to pick up on the general genre within a few moments. The songs are more than satisfactory in that regard and Howell and Bailey uphold lead vocal duties equally well (see also: Indigo Girls), which makes for a varied but balanced listening experience — something that isn’t a guarantee just because one is listening to a duo. However, it seems like the relatively short lifespan of Earth & Stone (falling out of notable awareness in just over ten years) is more a result of “wrong time and place.” When society at present thinks your music is just heavily “copying,” your label support relocates after the release of your compilation album, and no momentum is maintained thereafter, it’s hard not to think of the phrase, “If a tree falls in the woods and no one is around to hear it, does it make a sound?” The songs on Kool Roots didn’t make me jump up with thoughts of unheard compositional genius, but the fact that the album was indeed celebrated on charts post-release says there is something stylistically appealing about this pair that just didn’t get the chance to stick longer term. Looking on the upside however, if one wants to take the time to not only play back this week’s Radar pick but also dive into reading about its greater historical context in music (e.g. reading up on things like the lineage of Earth & Stone’s supporters, Channel One Studios, the reggae genre overall, and music consumption in the 1970s,) Kool Roots can be a great jumping off point for an interesting learning experience beyond hearing Earth & Stone’s chill batch of reggae. I’ve never really dug deep into reggae. Sure, I had that whole college experience of living on dorm floors with stoner dudes who had Bob Marley posters and blacklights in their rooms, but I never went too far beyond that surface-level understanding. Those dudes didn’t either, now that I think of it. In more recent years, I’ve found myself fascinated at points by dub, the subgenre in which reggae producers used primitive studio trickery to create strange hybrids of funky grooves and hypnotic effects, including gunshot samples and sudden explosions of reverb. That stuff seems fascinating to me as someone who likes deconstruction and unexpected juxtapositions. But for me, it’s all a bit too blissed-out — while it seems that reggae largely appeals to people with a high-cannabis diet, I’ve been straight edge for nearly 30 years and don’t really find myself in the sort of free-flowing, joyously relaxed mindset that’s congruent with the reggae vibe too often. I like anxious, frustrated, angry music, and I’m often an anxious, frustrated, angry girl, so it makes sense. That said, I can see the appeal of what Earth & Stone are doing here. The mixture of conventional early-’70s blissed-out reggae grooves with Philly soul-influenced dual-vocal harmonies by singers Albert Bailey and Clifton Howell helps me connect with these guys a little more than I do with most of the tracks on Legend that I learned by heart through my dorm room walls. I love soul music; I particularly adore the passion most soul singers bring to their songs. Bailey and Howell have some great moments where that’s concerned; I wish they were a little more fired-up, but on the whole I’m digging it. This is also why, despite my fascinations with dub, I like the conventional singles on the first half of this double album a good bit better than the dub versions on the second half. Despite the formidable presence of reggae legends Robbie Shakespeare and Sly Dunbar on bass and drums, respectively, these dub “versions” get boring for me pretty quick. They’re not that experimental, not surprising or weird enough to keep my attention. I’d really just rather stick with the first 10 songs here, which are a good bit more to my taste than the more well-known marijuana-boosting reggae guys that have become a rite of passage on well-to-do white college campuses (don’t hate me, I was there on a full scholarship). Honestly, if the frat bros down the hall from me during freshman year had been pumping Earth & Stone instead of Marley and The Wailers live in London, I might have found more about reggae to connect with. Then again, even now I’m probably a little too tense for it. British record label Pressure Sounds re-released this collection in 1997, sandwiched in their catalogue between reggae greats Lee Perry and King Tubby. I probably don’t listen to enough reggae and dub. Generally, I put it on if I’m looking for something different than my usual listening habits — a palate cleanser, say. Like many, many people, my early exposure to reggae, and, to a lesser extent, dub, came in high school with ska and bands that otherwise experimented with either (e.g., Sublime, The Clash). My first exposure to actual reggae was Bob Marley’s Legend in college, because of course it was. So it was a pleasant change of pace to explore Kool Roots. At least twice per week — and always on Saturday! — I’m awake by 5:30am. When you’re up that early, loud music just isn’t palatable. You need something quiet or soothing — usually for me it’s something like Massive Attack or Frédéric Chopin’s piano nocturnes. I can now add Kool Roots to that list. This is chill music, something you can play in the background. But it’s chill music that’s got some killer melodies and harmonies should you pay attention. Kool Roots allows for clear thought during that period when your mind is still booting up. I imagine that this’ll be in heavy rotation on mornings when I’m up before the sun, so thanks for that. Immediately in the opening notes of the first track of this album, I thought “Bob Marley” as most do when hearing reggae. The influence seems clear, but also, I feel that the genre of reggae as a whole sounds similar, in the same way that there are majority similarities in the every genre. I’m not saying that is a bad thing in any way though — the sound to me represents freedom, happiness, peace, and love, and I suppose at the height or global introduction of the genre in the ’70s, that is exactly what the artists were trying to represent. Personally, I love the sound. This album particularly has a flow that doesn’t even allow me to distinguish when one song ends and another begins, and just takes me away to a sunny paradise. Listening to it on a cold winter day, it is the exact pick me up I needed. With 20 tracks and that seamless joy feeling, it’s hard to single out specific moments or songs, but I do really love the ending of the “House Of Dub.” Purely instrumental, the music just has that timeless chill that will always leave a smile on my face. This is the kind of music that I could be playing all the time and never get sick of, so queue it up, hit repeat, and just drift away to the buoyant reggae.